High Quality Stainless steel ice tampered Blades. Zinc Alloy Handles (Not Plastic). Ideal for fabric tailoring shears and craft, household, kitchen etc. 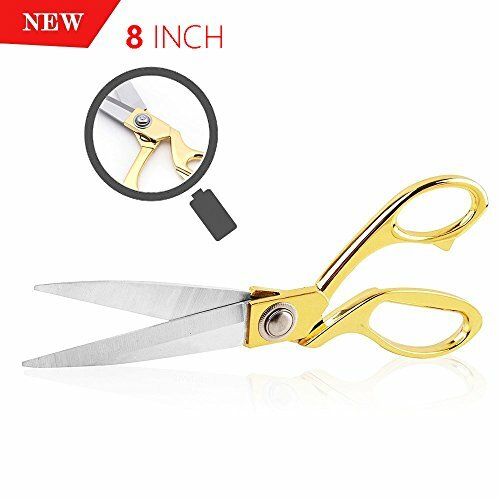 Feature a classic golden offset handle and High-quality blades，there are 8 inch, 9 inch, 10 inch, you can choose according to your actual needs. The Zinc Alloy handle is suit to Human Engineering, which made it comfortable and vigorous to hold it and can provide comfortable, smooth cutting across any flat surface. Premium stainless steel blades with plated golden offset handle,rustless and durable for use. It suit for cutting the device and trim seam. Cuting leather, upholstery, drapery fabric or rubber easily. It has five years guarantee. If you have any questions about this product by YOUZHIXUAN, contact us by completing and submitting the form below. If you are looking for a specif part number, please include it with your message.